Schedule your home addition on Talahi Island with American Craftsman Renovations! Your home on Talahi Island may be feeling a bit cramped with your growing family. Rather than deal with listing your home for sale and relocating, leaving behind your neighbors and favorite home, let us help you increase the square footage with a home addition. We can build you the extra bedroom, bathroom, or dedicated office space that you need. 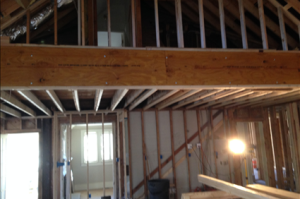 We can also finish your bonus room or basement to create more useable space for your family. A home addition is a great way to make your existing home meet your needs. Many of us love the home we live in and couldn’t dream of leaving our friends, neighbors, and our home. By building the extra space you need, you can stay in your existing home by making your property cater to your needs. Moreover, we will work to seamlessly integrate your new space with your existing property, so your home addition will blend in with the rest of your property.